Scotland’s police officers are tackling crime in “clapped-out bangers”, it has been claimed, after it emerged the force endures an average of almost one vehicle breakdown per day. The force’s car fleet –which has been blighted by fires, mechanical failures and leaks that let in the rain – has been condemned as a “disgrace”. 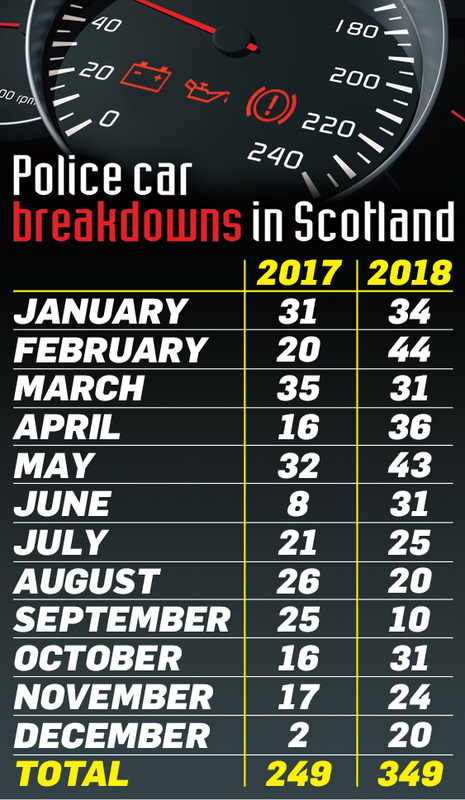 According to the data uncovered by Scottish Labour through freedom of information legislation, 349 vehicles broke down last year, an increase of 100 on the 249 breakdowns recorded in 2017. 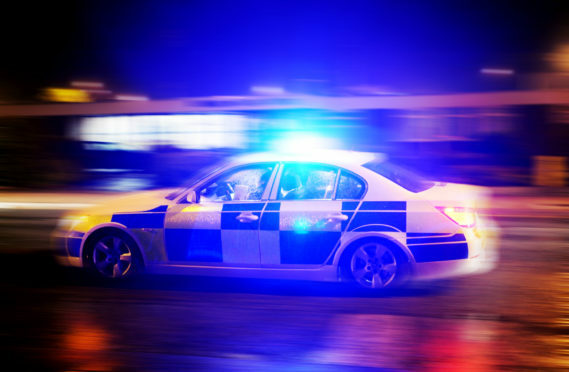 The rising number of vehicle failures comes as the police transport budget faces being slashed from an original estimate of £11.2 million in 2019-20 down to just £2.9m. Scottish Labour claimed the police were driving “clapped out bangers” and suggested officers were being starved of the resources to catch criminals. Meanwhile, Calum Steele, the Scottish Police Federation General Secretary, said the state of the fleet should “embarrass” the Scottish Government and the Scottish Police Authority (SPA). He said it should be a source of shame that the job of policing the roads was being undertaken by officers in vehicles that were “barely road-legal” themselves. Mr Steele said: “The only thing that is surprising in these official figures is that they are so low. “The condition of much of the police vehicle fleet is nothing short of a disgrace, breakdowns are commonplace and officers routinely highlight that more vehicles are off the road than on it. “In the past few weeks we have seen a police van catch fire; another needed a continual hand on the gearstick to ensure it didn’t jump out of gear whilst in motion, and both were incapable of keeping the rain out. “The derisory capital funding for the police service gives little hope things will improve anytime soon. Labour justice spokesman Daniel Johnson said: “It is no wonder criminals fancy their chances in Sturgeon’s Scotland when the police are driving clapped-out bangers. Chief Constable Iain Livingstone said more than 96% of the fleet were on the road but said higher levels of funding were needed. “Police Scotland requires significant capital funding to address historic under-investment in policing. “Our challenge is to make the case to the Scottish Police Authority and the Scottish Government that the investment needed to build a sustainable service will improve the lives of our citizens,” he said.